White Sands of La Jolla commission, Into Flight, courtyard sculpture, La Jolla, CA. MW Steele Group Architects, 2007-2008. 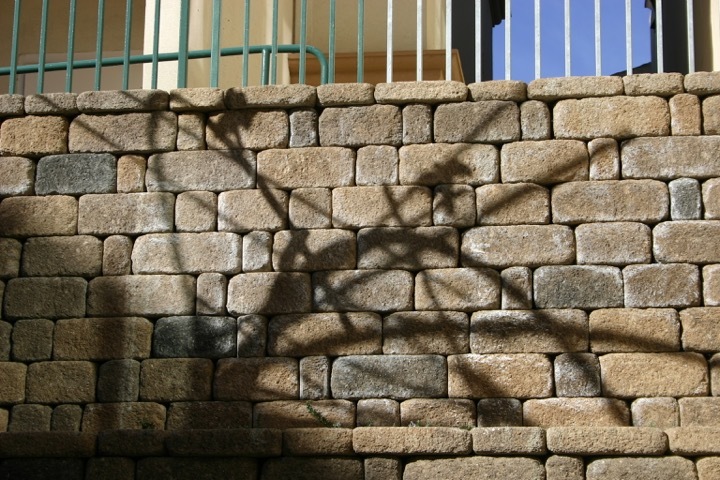 White Sands of La Jolla commission, Into Flight, detail of shadows) courtyard sculpture, La Jolla, CA, 2007-2008. White Sands of La Jolla commission, Into Flight, (detail) courtyard sculpture, La Jolla, CA, 2007-2008. Into Flight is a sculpture installation commissioned for The White Sands of La Jolla. 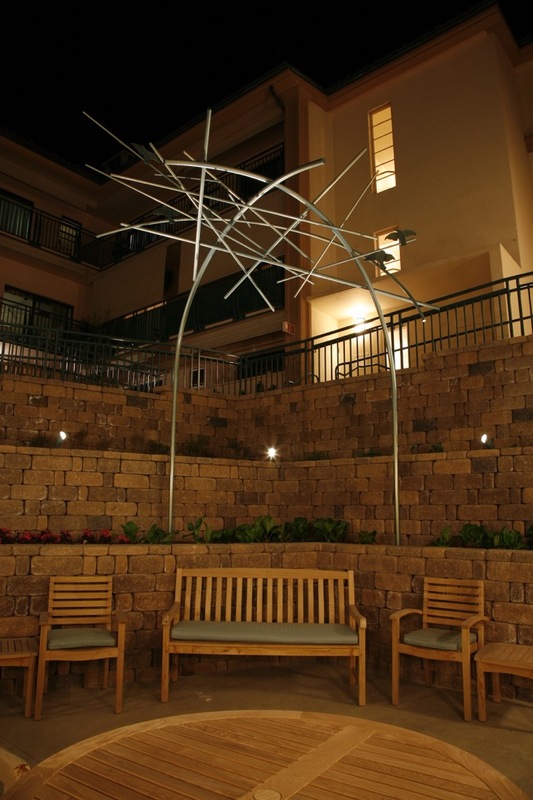 On January 7, 2008, The White Sands of La Jolla dedicated the newly installed courtyard sculpture titled, Into Flight, by artist Joyce Cutler-Shaw. 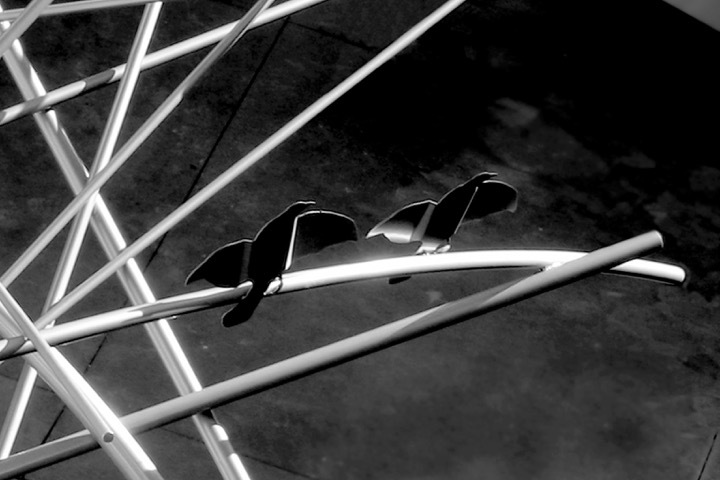 The sculpture rises to sixteen feet on two slender, round steel curving tubular forms, or “trunks”, that intersect at twelve feet above ground to support a crown or “nest” of interlaced rods alighted with five cut steel silhouettes of birds in flight. The sculpture is powder coated with a luminescent blue hat reflects light to various effects, and at sunlit daytime hours, casts linear shadows onto the surrounding retaining walls. Fabricated by Vincent Designs. Project assistants were Susan McFetridge & Julio Pompa. Made possible by a gift from Margary Moeller, in memory of her mother, Clarissa Beerbower.